In a significant diplomatic success for Palestinians, the ‘State of ‘Palestine’ has been elected to chair G-77 at the UN from the 2019 Session at a time when Palestinians are increasingly facing diplomatic isolation from the Trump Administration. This is over terms and conditions of a long-debated peace plan and when ties between Palestinian Authority (PA) and Trump Administration has been irreparably damaged as a fallout of US decision to declare ‘Occupied’ ‘Jerusalem’ as capital of Israel. Attempts by the US mission at the UN to serve Israel’s interests and to block the resolution that granted this diplomatic victory for Palestinians were as unsuccessful as previous American attempts to isolate Palestinians at UN, even though ‘State’ of ‘Palestine’ continued to be a non-member observer state at UN since 2011. After the Trump Administration assumed power, it had very often tried to obstruct various bids by Palestinians to play important roles in the world body, a serious ramification of which was witnessed when the former Prime Minister of Palestinian Authority (PA), Dr Salam Fayyad, could not be elected as UN Special Representative for Libya because of relentless opposition from the US. Nevertheless, this diplomatic success for Palestinians is a monumental one as G-77 is the largest voting bloc of developing countries at the UN and plays an important role in issues related to management and budgeting at the UN. The G-77 presently constitutes of one hundred and thirty-four member countries, including China, which enjoys a ‘veto power’ at the UN Security Council in lieu of its permanent membership. 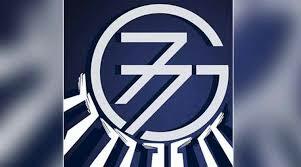 The G-77 also constitutes important players from among member states of Arab League, namely, Lebanon, Saudi Arabia, Qatar, United Arab Emirates (UAE), Syria, Jordan, Sudan, Egypt, Oman etc and also member states of Organization of Islamic Cooperation (OIC), namely, Iran, Pakistan etc. Egypt is currently the chair of G-77 for 2018 session and once, the ‘State of Palestine’ assumes this chairmanship in 2019, it will be in a pivotal position to echo concerns of the developing world at the global forum of UN. Although at this moment, much cannot be envisaged about the leadership role of Palestinians until they assume the actual position from 2019 onwards after Egypt finishes its term of the chairmanship, the voting pattern of the member states of G-77 during the process of voting of the resolution that led to this significant breakthrough reveals interesting insights. On 24th July 2018, during an annual motion at United Nations Economic and Social Council (ECOSOC) about the adverse impact of Israel’s ‘illegal occupation’ on economic activities in ‘Occupied State’ of ‘Palestine’, the original text of the resolution was put forward for an amendment by a motion of member states of G-77, this amendment motion unanimously called for release of all mortal remains of victims of conflict to be dealt in accordance with established rules and procedures of international law. This amendment motion was in the context of Israel’s repeated call for release of mortal remains of soldiers of Israel’s ‘illegal occupation’ which continued to be in the custody of Hamas in Gaza Strip since Israel’s war on Gaza in 2014. Quite expectedly, the US which always preferred to be subservient to Israel at the UN vehemently opposed this amendment motion from G-77, did not want to put this motion for vote and asked for postponing the ongoing meeting for twenty-four hours, but since the proceedings of the meeting had already started, it could not be postponed. The US then put forward a motion to challenge the ruling of the chair of ECOSOC and requested for voting, but it only received a single vote in its favor and its motion was defeated as there were 14 votes against this US request for a vote. The US then put forward another amendment motion on behalf of Israel as Israel was not a member of United Nations Economic and Social Council (ECOSOC). This amendment motion by the US on behalf of Israel received only five votes and the US had to concede a defeat for the second consecutive time. During the final stage of voting on the original text of resolution along with the amendment motion put forward by members of G-77, the Palestinians had a resounding success as they received forty-five votes in their favor with only two votes against them. Although the names of these member countries of G-77 who voted in favor of Palestinians are not publicly available at the time of compilation of this report, the Palestinians have seen to garner widespread public support in their favor from member states of G-77. This was not the first time that US had conceded a diplomatic defeat to Palestinians, only last month at UN Security Council, the US received only one vote in favor of its resolution on Hamas and that very one vote was of the member state which put forward the resolution only, the US. While a de-facto sovereign ‘State’ of ‘Palestine’ is far from being an objective reality on the ground of the conflict, where the ‘illegal’ ‘Israeli’ ‘Occupation’ has continued to trample upon the legitimate rights of Palestinians to self-determination, this diplomatic victory of Palestinians may usher a new era of opportunities. Since acceptance of ‘State’ of ‘Palestine’ as a non-member observer state of UN General Assembly in 2011, the Palestinians have been able to come far to integrate their legitimate cause to self-determination with agenda of global institutions to solve the ongoing conflict, while Israel has continued to use savage military force against Palestinians to create facts on ground and blame Palestinian Authority and Hamas for all kinds of ordeals that Palestinians have to endure in their daily lives under a never-ending colonial occupation. The Trump Administration does not seem committed to peace with Palestinians at all, despite its tall claims, their actions have instead emboldened Israel because of the US approval of Israel’s illegal annexation of East Jerusalem by declaring Jerusalem as undivided capital of Israel, relocation of US embassy from Tel Aviv, downsizing of millions in aid to UNRWA, tacit approval of Israel’s illegal settlements in West Bank among various other provocative policies. Palestinians are never going to agree to a US peace proposal that plans to remove the question of Palestinian refugees and Jerusalem “off the table” and hence, any such, aggressive US peace proposal will be dead upon its arrival. Palestinians have been right to dismiss the role of US as the sole partner in peace negotiations after the Jerusalem declaration and seek for a collective international process through member states of UN Quartet in peace negotiations in which the US will be only one of the members. As Gaza continues to be on the boil since the start of ‘Great Return March’ demonstrations and because of Israel’s counter-response which has claimed lives of more than one hundred fifty Palestinians, the Palestinians have also been forthright to seek UN-mandated International Protection of Palestinian civilians. The overwhelming support that Palestinians have received from China, European Union and other countries in support of their future G-77 chairmanship, will definitely enable them in future to bolster diplomatic, political and legal battle against Israel’s war crimes against Palestinian people.